1. Why did State ignored recommendations or proposal by State Negotiation Team or SNT backed by Ashurst, KBR, Wood Mackenzie, and signed a completely different agreement? I have confirmed with some SNT members and let’s not fool fellow leaders, professionals and our people in general. 2. 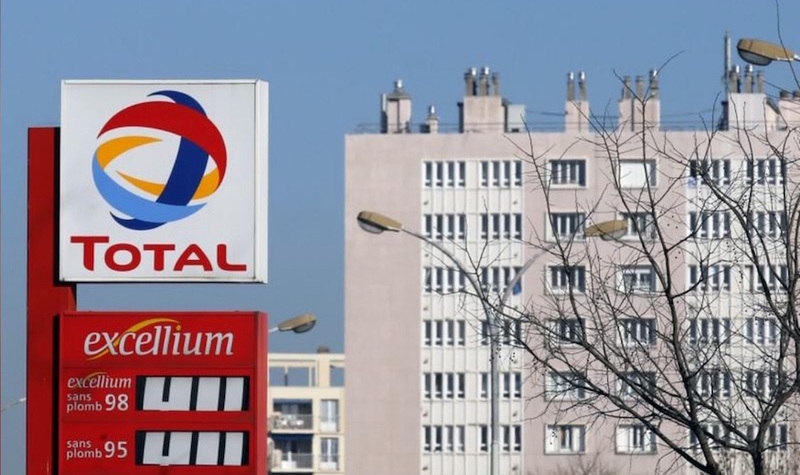 Why did State signed an agreement when Total failed to submit important requirements of law? I have confirmed that the from Acting Secretary Petroleum to Chief Secretary as Chairman is real, there exist such a signed letter and State brushed that and signed. 3. Why did State ignored StateSol advice on serious implications? His media statement this week Wednesday confirms that Gas Agreement is subject to Total fulfilling necessary requirements. What do you think those necessary requirements are? And are those requirements not necessary to be complied with first? Why did we ignored advise for six months adjournment? 4. Why did State ignored 3 consecutive letters from Governor of Central Bank not to sign the Agreement until our Monetary regulatory requirements are complied with? In the letter, he warned that he let go the the first LNG project though fundamentally flawed GA but will not be allowed again. 5. Why did State give Tax Exemptions having known we lost K6.0 billion from PNGLNG? PNG stand to loose another K6b or more because of the GST and other exemptions. 6. Corporate Tax used to be 45% since first Oil Project in 1990 but reduced to 30% under PNGLNG. Why did State ignore SNT reccommendation to bring back to 45%? A lost of 15% is a serious question State need to be responsible because we will again loose Billions of Kina every yeat. 7. If we can reduce Tax exemptions and reduce Corporate Tax, why didn’t we ask for exemptions on Sunk Cost as recommended by SNT? As announced by DPM , we will pay our sunk costs after first sale of gas. Remember, any capital cost you want to pay after project construction will apply Premium costs ranging 10-30% on the principle amount. 8. On one end, we talking about better deal on DMO but I think developers playex dump fool on us. Why I say this? Because currently for NiuPower and Dirio Power, we are paying gas price at 9% Japanese Crude sales price or US$5/mmbtu. The Papua LNG agreed pay around US$5/mmbtu. That is, 9% of JCS is same as $5. Therefore, i think we have been fooled. Why did we ignore SNT recommendation for 2% JSC and went for $5/mmbtu or 9% JSC which means the same thing? 9. Why Central Provincial Government, very host of pipeline and LNG facilities NOT invited to be a party to the agreement? 10. Did we agreed for 2% Gross Wellhead Value payment for Royalty and development Levy? Under the PNGLNG, they are literally deducting 1.6% and paying only 0.4% because of deductions such as Opex, Capex, and Premium on Capital cost. Over the last four years (2014 -2017) we lost K1.2billlion. Did we ever leant from that? 11. The SNT team had a clause called “Lessons Learned from PNGLNG”. One of the lessons learned was the confirmation that PNG lost K48 billion from construction phase to operation phase. What actions have we taken to correct that? 12. State need to explain to the parties affected by PNGLNG project wether or not there will be any implications as Papua LNG likely to share common facilities. 13. I heard that the Financial Model doesn’t even incorporated financing and refinancing in their Open Book Economic Model. The numbers used in the economic model is only Class IV – ORDER OF MAGNITUDE COST ESTIMATE of +- 50 %. The likely high case cost estimate for the overall project will be plus 50% of the current estimate of US $13 billion. 14. The Foundation Volume is rumoured to be stated as 10.3 tcf, when their outdated proven reserves is only 6.7 tcf. Where will the extra 3.4 tfc of gas will come from. What’s the Basis? For any Petroleum project, the Foundation Volumes determines everything from Field Development Plan to Cost Estimate, Financing. Etc. Also clarify how the treatment of P’nyang and PNG LNG gas will be like if there’s shortfall on committed gas supply for Papua LNG. 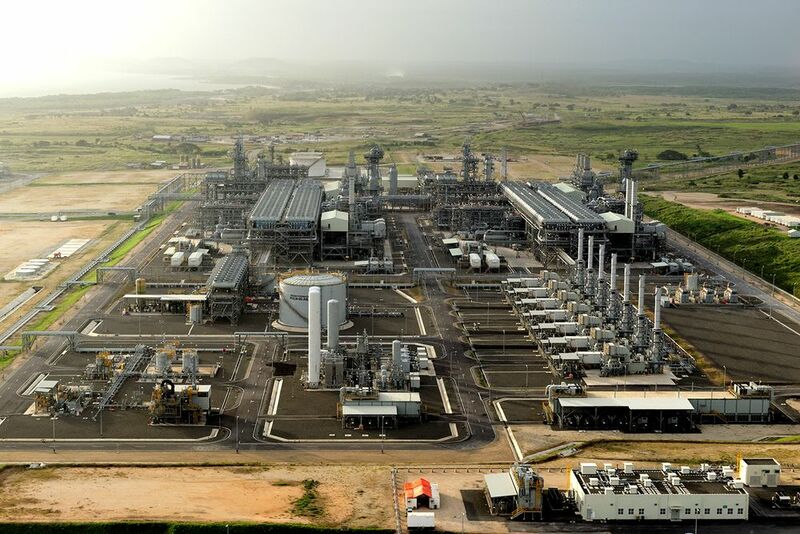 PNG Liquefied Natural Gas Plant near Port Moresby, Papua New Guinea.Photographer: Richard Dellman via ExxonMobil Corp.
Papua New Guinea’s government is under pressure over its handling of the country’s burgeoning gas sector. The government last week agreed terms for the $US13-billion Papua LNG project, based on the Elk / Antelope gas field in Gulf Province, to be led by French company Total. Two days later, PNG’s Finance Minister James Marape resigned, citing a breakdown of trust in prime minister Peter O’Neill and the government’s handling of landowner participation in oil and gas developments in the Highlands. Along with claims about feasibility, the resignation adds to a sense of uncertainty over the Papua LNG developer which traces right down to the grassroots. A village leader in Gulf Province said local people had not been briefed yet on what having the project on their land meant for them. For Solomon Lae, a chief in Kapai Aikavalavi village, the lack of consultation reflects how the nation’s political leaders have long milked the benefits of the country’s resources. “We have never had the opportunity to be clear on exactly what is going to happen in the province,” he said. 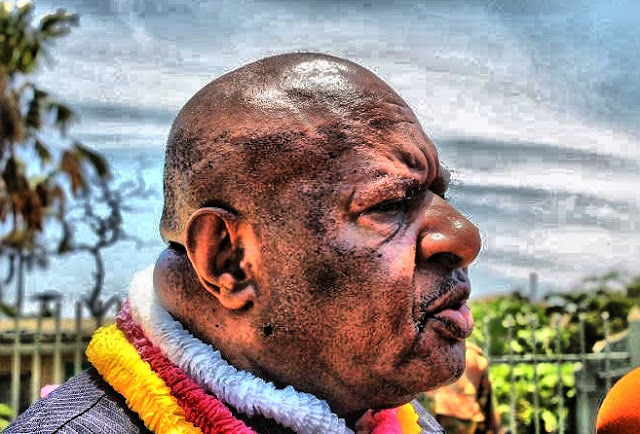 Mr Marape, the former finance minister, is the MP for Tari in Hela province, the hub of the PNG LNG Project the country’s first gas development. Ten years after its project agreement, many of Mr Marape’s constituents are frustrated with the government because they are yet to see promised benefits from the venture. Meanwhile, the ‘clan vetting’ process in Gulf Province to establish the rightful landowners to receive benefits and royalties is still not complete. According to opposition MP and the member for Kerema in Gulf Province, Richard Mendani, instability in the government’s ranks is linked to the way it is rushing through the new gas project without properly consulting all stakeholders. “The current government is under pressure to improve on this performance. There’s a lot of talk and a lot of political movements within Waigani,” Mr Mendani said. 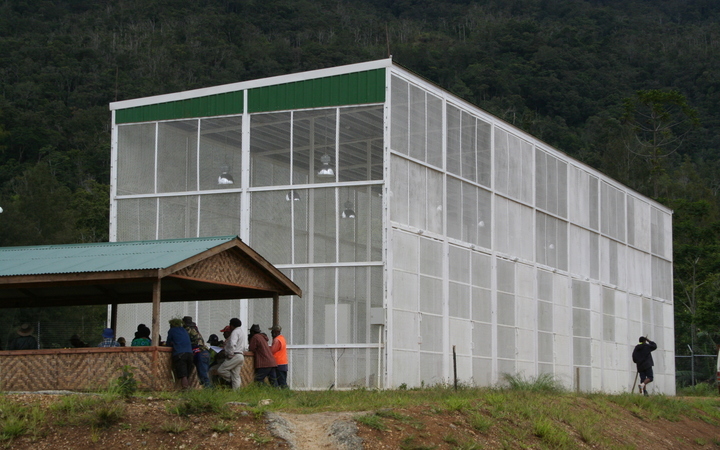 But PNG’s Treasurer Charles Abel said the agreement was only one part of the process and that landowners would later be part of discussions for the Benefit Sharing Agreement. “The signing of the gas agreement, it just establishes the broad fiscal terms to enable the developer to obtain financing and give them comfort to spend a bit more money into the Front End Engineering Design process,” he explained. The state has a 22.5 percent interest in the Papua LNG Project, of which two percent is on behalf of landowners, with a two percent development levy for the provincial government and local level administrations. According to Mr Abel, other features of the project’s terms include a corporate tax rate of 30 per cent, and obligations to supply PNG’s domestic gas market at a discount price. Compared to the PNG LNG Project, which began exports five years ago, there are significant improvements from a landowners’ perspective, Mr Abel said. This time the government has been granted a waiver on immediate payment of its share of project costs, while the venture’s benefits are carefully structured, ensuring revenues even when commodity prices are low, he said. “The landowners are getting a better benefit but the state is not unduly putting itself into a difficult financial situation,” the treasurer said. Chief Solomon Lae, however, is doubtful the government has changed its approach from other resource extraction projects. “Our people in this country, they never learn from the previous experiences. 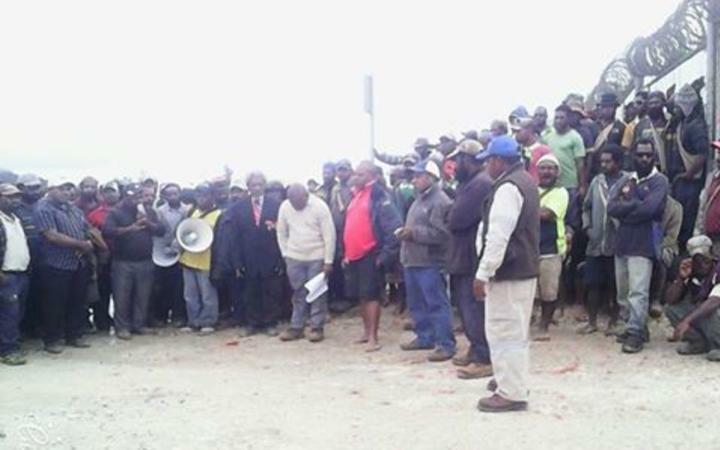 Southern Highlanders are waiting ten years and are yet to receive royalties,” Mr Lae noted. 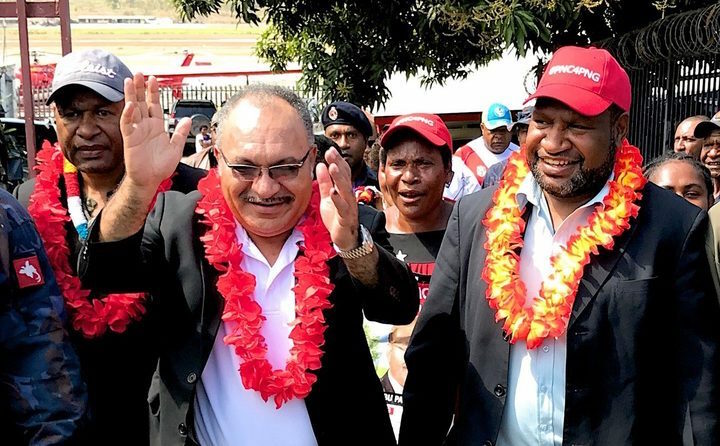 But Prime Minister Peter O’Neill has said the Papua LNG Project’s expected investment of nearly $US13 billion will benefit local communities and create jobs. He told local media that the domestic supply obligation was an important step for resources development in the country. “The petroleum and energy sector looks very bright in PNG,” Mr O’Neill said. However, explosive claims have surfaced from a former senior technical officer at the Department of Petroleum that the Elk / Antelope gas field is a very marginal resource, lacking gas volumes to sustain a major project. This was related in a review by a team of geoscientists and engineers, presented to the O’Neill government and its Papua Project partners, Total, ExxonMobil and Oil Search, in 2017. Despite this, the government is proceeding with the Papua LNG Project, in which it has a significant financial stake. For over five years, the prime minister has been determined for the venture to go ahead. The government’s controversial purchase of a ten percent stake in Oil Search in 2014 was an executive decision said by cabinet members to have been made Mr O’Neill without their support. It sparked a fallout at the time with his former Treasurer, Don Polye, who was sacked for opposing the decision. Mr O’Neill is facing a potential motion of no-confidence next month in parliament, and will be looking to stem the tide of discontent within his government. Pressure over this gas project is rising, as is the political heat in PNG. One of Asia’s most impoverished nations, Papua New Guinea is rich in natural resources including large gas fields. Papua New Guinea’s finance minister resigned on Thursday, days after the country signed a multi-billion dollar gas contract with energy majors Total and ExxonMobil. James Marape, who also leads the government in parliament, resigned citing the failure of the government to ensure national firms and locals benefit from the contract. On Tuesday Prime Minister Peter O’Neill announced the $13 billion project that includes the extraction, pipelines and an upgraded LNG facility to ship the gas overseas. The leading companies involved are France’s Total, US firm ExxonMobil and Oil Search, a firm partially owned by the Papua New Guinea government. “Whilst we don’t have any personal differences, we do differ on some work and policy related matters,” he said, citing the need for more local “participation in our gas, oil sector” and mining industry. Marape’s departure could prompt further cabinet resignations that are problematic for the government and may spur local protests against the gas projects. He represents a district in Hela Province that an oil pipeline traverses. The project would almost double Papua New Guinea’s gas exports, but local communities have complained bitterly about not getting benefit from similar deals in the past. Implicit in the Central Bank’s criticism is that those who negotiated and signed off on the Exxon-Mobil LNG and Ramu nickel mine agreements etc, were NOT acting in PNG’s national interest. So who are these people and where is the accountability? The March Monetary Policy Statement from the Bank of Papua New Guinea has urged the government to rethink the way it negotiates tax concessions and exemptions with new resources projects. Adopting a strong stance, it points to how previous agreements have been a factor in foreign exchange shortages and adverse trends in government finances. 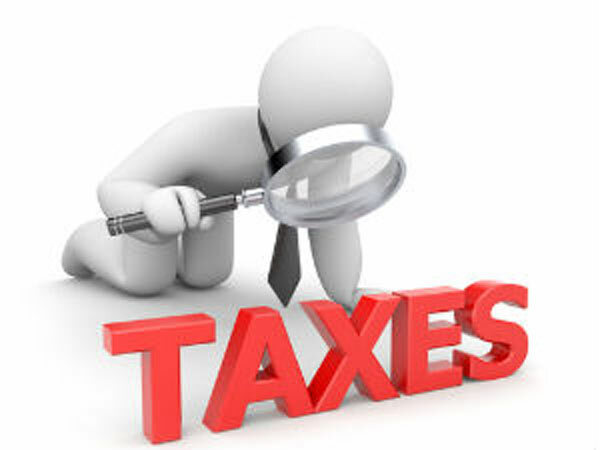 These tax concessions, it says, has resulted in less availability of foreign exchange and has not strengthened tax revenues. PNG in 2018 had a large current account surplus, indicating greater trade and finance outflows than inflows. This would normally result in strong demand for the kina, but it ‘did not translate into sufficient increase in inflows to the foreign exchange market’. A trade performance that normally would have meant foreign exchange was easy to obtain, did not have that effect because of exemptions and concessions to resources projects. ‘If a significant portion, or all, of the export receipts were brought into the country, it would more than adequately cater for all the demand for foreign currency in the foreign exchange market,’ the Monetary Policy Statement (MPS) said. The statement does note, however, that the situation in the foreign exchange markets is improving. ‘The outstanding backlog declined significantly from K1.739.3 billion in December 2017 to K445.4 million at the end of 2018, and to K320.1 million in February 2019. But it says that the State Negotiation Team (SNT) should ‘push for the country’s national interest’ when negotiating with developers, pointing especially to the Papua LNG and Wafi-Golpu projects. The MPS points to ‘serious concerns’ about the ‘broad exemptions and concessions’ given to the PNG LNG Project. 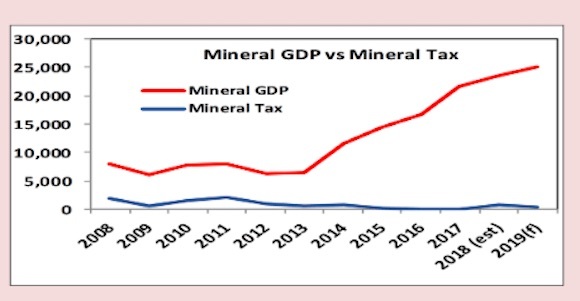 In 2018, there was a budget deficit of K2.048 billion or 2.5 per cent of nominal GDP, according to the report, which expressed concerns about the level of public debt. ‘Over the last seven years, the budget deficits under the Government’s expansionary fiscal policy have been financed by increased borrowing, as revenue did not grow sufficiently to meet increased expenditures. 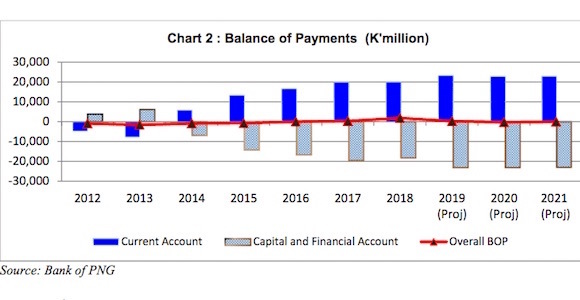 ‘As a result, total public debt continued to increase in 2018 to K25.606 billion, or 31.1 per cent of GDP, and is planned to increase further in 2019. Annual headline inflation has declined from an average of 5.4 per cent in 2017 to an average of 4.5 per cent in 2018. It is forecast to be 3.5-4 per cent for 2019. The Bank said it expects to keep interest rates steady for the next six months. The kina depreciated against the US dollar from US$0.3095 at the end of December 2017 to US$0.2965 in the March quarter, reflecting high import orders. Against the Australian dollar, the kina appreciated from A$0.3967 at the end of December 2017 to A$0.4195 in the first quarter of 2019. Australia’s Oil Search, France’s Total SA and Exxon Mobil on Tuesday signed a deal with Papua New Guinea that will allow work to start on a long-awaited project which could help double the nation’s liquefied natural gas exports. Oil Search said in a statement that the agreement would allow the parties to start activities related to so-called Front End Engineering and Design (FEED) such as contractor selection for Papua LNG – a project led by Total, with Exxon and Oil Search as minority partners. “FEED is expected to result in a Final Investment Decision in 2020, which will ensure that first production from … LNG trains is available in 2024,” said Oil Search’s managing director, Peter Botten. Oil Search had initially hoped the project, to fuel an expansion of Exxon Mobil’s PNG LNG plant, would be approved in 2018, but talks with the government took longer than expected after an earthquake hit the country. The project intends to develop the Elk and Antelope gas fields to feed two new processing units, or trains, to be built at the PNG LNG plant run by Exxon Mobil. The Total-led Papua LNG project is also looking to sign-off on the development of a third new train to be supplied from its existing PNG LNG fields and the new P’nyang field. All together, the developments are expected to double the PNG LNG plant’s output to around 16 million tonnes a year, with analysts estimating the overall expansion will cost around $13 billion. Shares of Oil Search and sector peers such as Santos were over 2 percent higher against a slightly lower benchmark index. LANDOWNER groups are threatening to derail two major resource developments in the country. These are the Papua LNG in the Gulf of Papua and Porgera Gold Mine in Enga, where a Wardens Hearing on developer Barrick’s bid for renewal of its licence was conducted yesterday with hundreds crowding the Paiam Oval in Porgera. The event nearly turned into factional disagreements which almost turned nasty before police cooled the situation to allow Chief Mining Warden Commission Andrew Gunua to hear the company and landowner representatives. Porgera Joint Venture executive managing director Tony Esplin, in presenting the company’s application to extend its operations, appealed for the people’s understanding saying PJV mining operations was for the people. 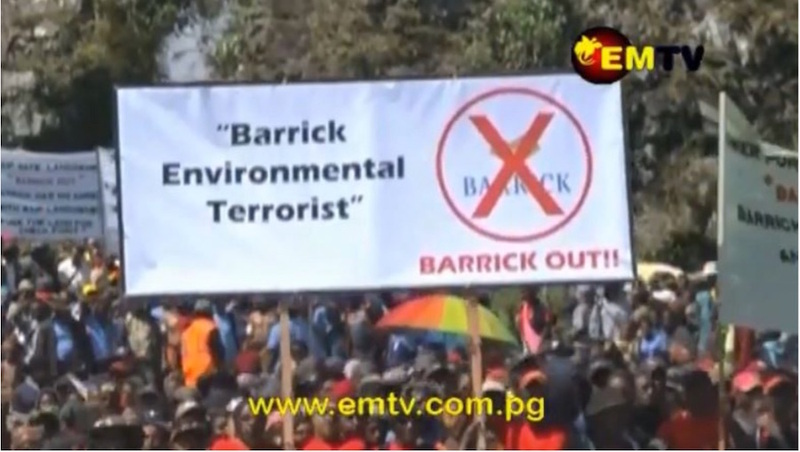 Locals supporting PJV’s extension bid wore yellow with banners saying “Barrick PJV to stay” while those opposed also came with banners. The fracas occurred when former Porgera Development Authority chairman Jonathan Paraia objected and said his faction would be represented by their lawyer. Mr Gunua told Mr Paraia that he will conduct the warden hearing fairly and listen to all parties, but this did not go down well with Mr Paraia’s faction. 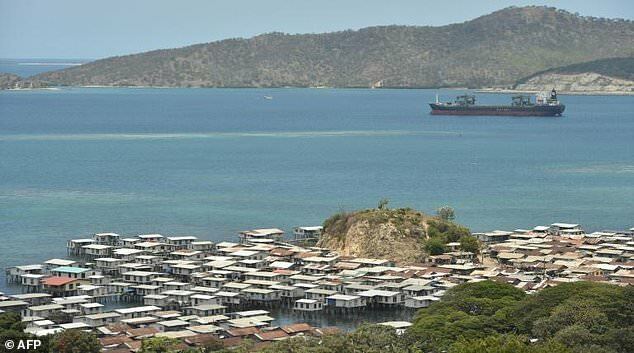 Meanwhile, in Port Moresby, a landowner group from the Gulf Province aggrieved by the Papua LNG announcements demanded in a letter to Prime Minister Peter O’Neill to defer the signing of the agreement for the Gulf (Papua) LNG project until all legal requirements are met. Failing that, they will go to court to stop the signing if no response is forthcoming by Thursday (tomorrow). They claim they are the legitimate landowners and only owners of the PRL 15 land sites where the wellheads are located. Executives of the Aumake Nairu Orumako Land Group, in a press conference claimed they own over 100,000 hectares of land in the Elk Antelope. The incorporated landowner group (ILG NBR 513) chairman Apae Koivi and secretary Kepsy Koivi said from day one they have never been engaged in any negotiations pertaining to the Papua LNG despite them being the legitimate landowners. “Of course for the last three years we have not made any noise because we wanted to have all legal documents and instruments in place, and now that we have it in our hand, we are coming out,” chairman Koivi said. “We the Aumake Nairu Orumako Land Group now have an ILG certificate from the Department of Lands which makes us the legal landowner group. We are not closing the Gulf LNG, no, all we want is deferral of the signing so we can iron the legal issues, and so that we can find out who has represented PRL 15 all these years,” he said. Will reviews really end tax concessions for extractive industries? Everyone is talking tough but can they really deliver? 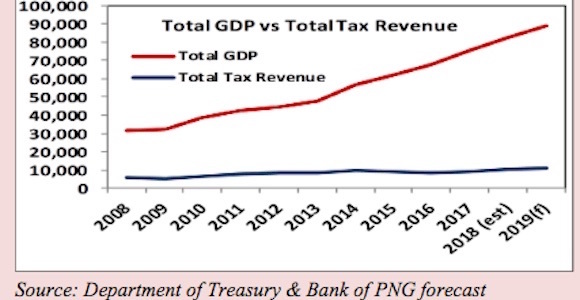 TAX concessions granted to developers of major projects in the country have resulted in lower forex and tax revenue to the Government, Bank of Papua New Guinea (BPNG) says. In its Monetary Policy Statement released this week, Governor Loi Bakani said the current policies in relation to the extractive industries gave a lot of tax concessions to project partners for the development of major projects. Bakani said BPNG supported the Government’s medium term revenue strategy from 2018-22 to review tax concessions. 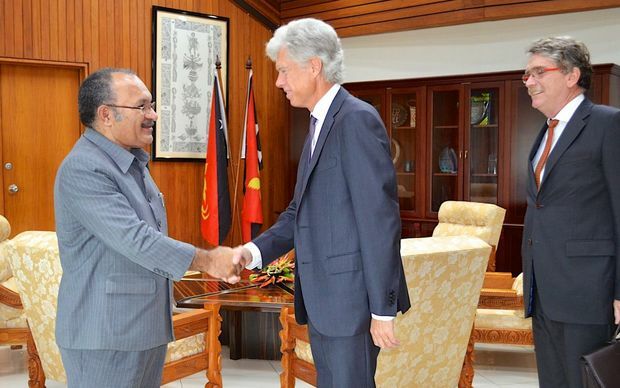 “It is the Bank’s (BPNG) view that the Papua LNG and Wafi Golpu projects be included in this review so that much needed revenue for the Government can be raised,” he said. The statement further noted that the increase in export earnings and the continued current account surplus has not translated into a significant increase in foreign exchange inflows into the foreign exchange market. In total, PNG’s export earnings should more than adequately cover all the demand for foreign currency. This however according to BPNG was not happening as various Project Development Agreements allow developers of the various extractive industry projects to have foreign accounts offshore. Most of the export earnings in foreign currency were held in offshore accounts and do not enter the foreign exchange market, the bank said. STATE negotiating teams (SNTs) involved in major projects have not fully pursued the national interest for all project development agreements (PDA) over the years, says the Bank of PNG. According to BPNG Monetary Policy Statement approved by Governor Loi Bakani, the SNTs with the support of technical expertise should effectively negotiate for national interest with the developers after wide public consultation and input. “The existing legislations and policies regarding development of the extractive industry do not clearly provide for national interest that is anchored in the national goals and directive principles under Section 25 of the national Constitution, to guide the Government in negotiating better terms of the project development agreements ,” he said. The bank encouraged the Government to improve its capacity and governance framework, and financial policies as per the medium-term revenue strategy (2018 – 2022). Bakani said BPNG had serious concerns about the broad exemptions and concessions given to the PNG LNG project, pertaining to taxes, exchange control and foreign currency provisions as well as the confidentiality clause. “These provisions under the PNG LNG gas agreement rendered the Bank of PNG ineffective in the enforcement of certain provisions of the exchange control regulation,” he said. “Consequently, the Papua New Guinea economy has missed out on foreign exchange inflows, tax inflows, tax receipts and other matters of national interest.